Former Islanders goaltender Jaroslav Halak returns to Long Island Tuesday for the first time since signing with the Boston Bruins. After his four-year contract expired this past summer, it wasn’t expected for Halak to return to the Islanders. This is for many reasons, whether it was play or treatment by the organization. As the Islanders netminder, Halak is fourth all-time in save percentage (.913), fifth all-time in wins (88), and sixth all-time in games played (177). 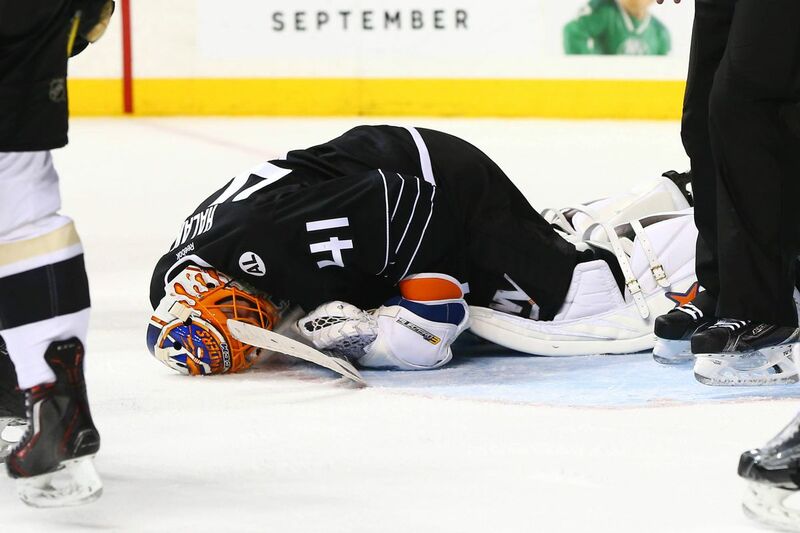 Halak’s tenure as a New Islander began in the offseason of 2014 when the Islanders acquired his rights from the Washington Capitals in exchange for a fourth-round pick. Days later, Halak signed a four year, $18 million contract to be on Long Island long-term. His first season on Long Island was by far his best as an Islander. He set the Islanders all-time record for wins in a season (38) in 59 games. He even represented the Islanders at that year’s All-Star game. He went 3-4 in the Playoffs against the Washington Capitals including a clutch performance in Game Six of that series, making 38 saves in a 3-1 victory. For the first time in a while, things were looking bright in the Islander goal crease. Jaroslav Halak robs Jay Beagle in game 7 of the first round playoff series against Washington. The 2015-2016 season saw Halak put up similar numbers in fewer games. Halak started the season on IR which allowed the newly signed Thomas Greiss to emerge as a reliable goaltender. During this season, Halak put up a better save percentage and goals against average to the year prior, but his season was cut short on March 8th when he pulled his groin. He went 18-13-5 with a 2.30 GAA and a .919 SV%. Jaroslav Halak gets injured on March 8th, 2016 against the Pittsburgh Penguins. The 2016-2017 was supposed to be an even better season for the Islanders in the crease. Thomas Greiss became a reliable option, and Halak returned from injury and a dominant stint at the 2016 World Cup of Hockey. But, this was when the mistreatment from the Islanders organization began. To go along with Halak and Greiss was a young JF Berube, who spent the year prior as the third string goalie. He impressed in action when Halak went down with an injury. Having three goalies cut down practice time for Halak who voiced his displeasure with the situation via his agent Allan Walsh. After months of displeasure and shaky play by Halak, the Islanders decided to shake things up by placing the Slovakian netminder on waivers. Halak, who was a veteran goaltender and a proven winner, was put in a bad situation by the Islanders, as he was now the odd man out. General Manager Garth Snow waited until March 22nd to recall Halak from Bridgeport to save the Islanders season. Despite his outstanding efforts, it was too late as the team finished one point out of the playoffs. 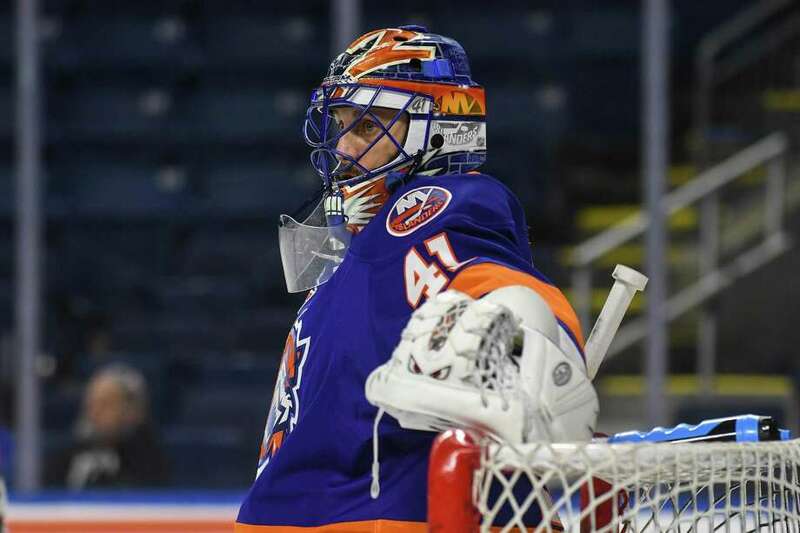 Halak was summoned to Bridgeport for a majority of the 2016-2017 season after becoming the odd man out for the Islanders. By this point, it was clear that Halak was most likely entering his final season as an Islander in 2017-2018. And the mistreatment continued. At times, Halak was the Islanders best player. He faced the most shots in the entire league and played 54 games after playing a combined 64 in his last two seasons. He was constantly peppered with shots game after game making 40 plus stops in games quite often. By the end of the season, he was visibly exhausted, carrying the team in the games that he played. Although Halak had said a few times that he would be open to an extension, the Islanders never offered him a contract ending his tenure on Long Island. 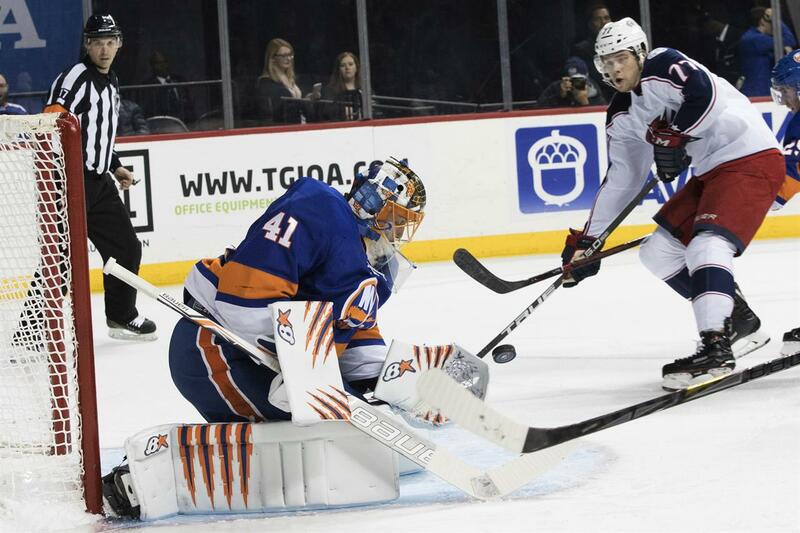 Halak makes one of 47 saves in a victory against Columbus on February 3rd, 2018. Mistreatment by the organization and poor play in front of him were the ultimate downfalls of Jaroslav Halak’s tenure with the Islanders. But even though he was only here for four years, he stills leaves a legacy behind. He was viewed as the first legitimate goaltender the team had in over a decade when he arrived. He was clutch, he persevered through bad treatment, and he grew on us Islander fans to the point that Halak became somewhat of a fan favorite. As the goalie known for his clutch play, outstanding performances against the Rangers, and scratched up pads returns to Long Island Tuesday night, hopefully the “Jaro, Jaro” chants are heard loud and proud as we welcome back one of the best goaltenders to put on and Islander sweater.